Well, we only get 1.5 mandarins each (since the other little ones all died and fell off months ago), but they're ours! 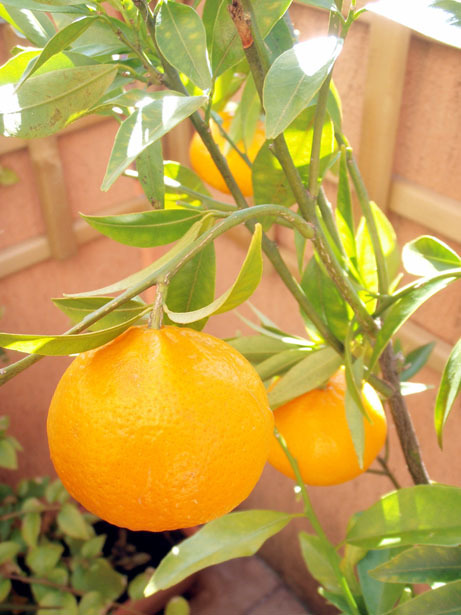 The special mandarin picking ceremony -- which consists of picking them, looking at them with love and a little regret, and some peeling -- happens tonight! Well, it's not a ceremony. But it's sort of a special moment in time -- probably for about five minutes.